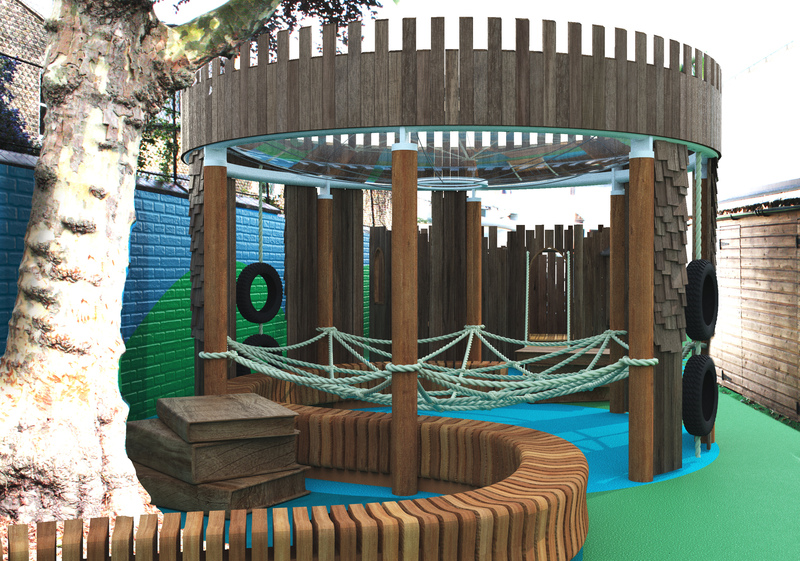 The Blue Forest team had a fantastic time developing the creative schemes for this amazing fantasy playground design for pupils at Thomas’s School in Clapham. Inspired by some of the most iconic locations from Tolkein’s Lord Of The Rings, the team used the L-shaped playground to their advantage by developing an epic ‘journey’ for the children to follow from one end to the other. Putting engagement and imaginative play at the forefront of the scheme, the space offers one fun space after another which are connected by stepping stones and balance log walks to encourage co-ordination development. Offering a wide range of play activities, the structures will not only stimulate the children’s imagination but will also encourage physical activity and movement. 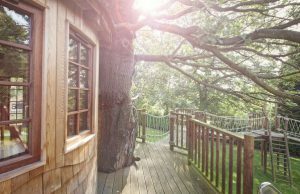 An Enchanted Treehouse and Hobbit Hole offer secret places to hide away in, while Helms Deep Castle, Shelob’s Web and The Middle Earth Dragon climbing frame will help build strength and confidence through climbing and balancing. Shelob’s Web also offers an additional space for the children to build social interaction skills with a suspended chill-out net, and can also be used for memorable outdoor lessons. The school loved the idea of incorporating these fantasy elements into the playground design and such a unique play space will certainly make the school stand. Pupils will make many fond childhood memories in this playground and we wish them the very best with their quests, dragon battles and general magical kingdom adventures. The project is very nearly finished and we will be releasing further images soon so watch this space!